After leading the world in working hours, Hong Kong is now the world’s most expensive city to live in, according to Mercer’s 22nd annual Cost of Living Survey. Sky-rocketing housing prices was idenitifed as a possible factor driving costs in Hong Kong. The survey found a two-bedroom unfurnished apartment costs an average US$6,809 a month in Hong Kong. Luanda came in at second place at US$6,700 a month for a similar accommodation. The city also pays the most for gasoline at US$1.79 per liter compared with 48 US cents in Moscow, the lowest. A coffee in Hong Kong costs US$7.77 compared with US$2.28 in New York, US$4.44 in London, and US$6.87 in Beijing. But in New York a hamburger costs US$8.74 compared with US$4.83 in Hong Kong. The global top 10 includes four Asian cities with Singapore in the fourth place followed by Tokyo, which climbed from 11 last year to fifth this year. With a weaker RMB, all Chinese cities surveyed dropped in the rankings – Shanghai (7) and Beijing (10). Other cities appearing in the top 10 of Mercer’s costliest cities for expatriates are Luanda (2) , Zurich (3), Kinshasa (6), Geneva (8), and N’Djamena (9). The world’s least expensive cities for expatriates are Windhoek (209), Cape Town (208), and Bishkek (207). Connie Leung, Mercer’s Hong Kong Information Solutions Business Leader, said, expats are drawn to Hong Kong regardless of the costs. “From the employee’s perspective, high living cost may not be the key concern as the cost should be normally compensated in an expatriate package. 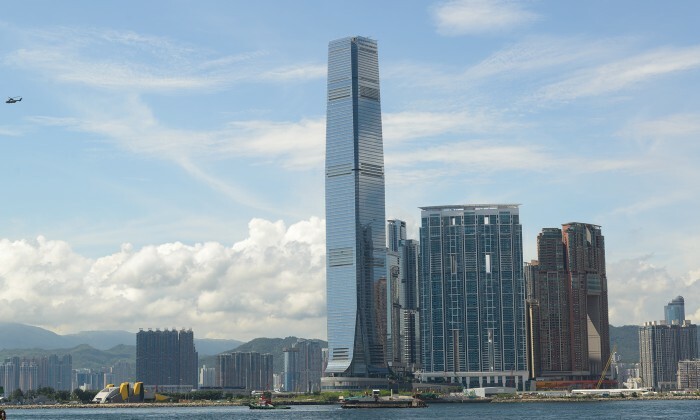 So expatriates themselves may consider elements such as the opportunities to progress in their career by moving here and the overall quality of living in Hong Kong compared to their home countries,” she said. From the employer’s perspective, Leung thinks the high living cost may affect their decision to move the expatriates to work in Hong Kong as they may need to compensate for the cost difference between employees’ home an host country in the expatriate package. “But in terms of cost perspective, tax rates may be another element which may be favorable to Hong Kong as we still have a relatively low tax income rate compared to most of the other countries in the world while tax arrangement is also a key component in an expatriate package,” said Leung. The survey includes over 375 cities throughout the world; this year’s ranking includes 209 cities across five continents and measures the comparative cost of more than 200 items in each location, including housing, transportation, food, clothing, household goods, and entertainment.